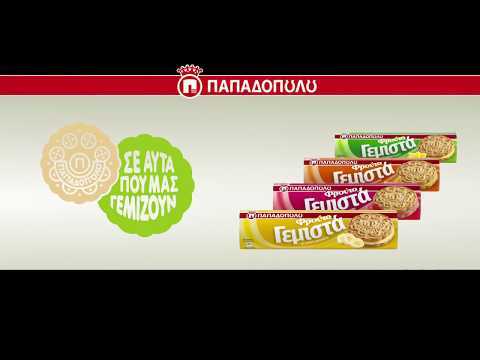 PAPADOPOULOS Sandwich biscuits: classic, authentic and all-time favorite sandwich biscuits with a cream filling. Part of our cherished memories, we have been indulging in them from a young age, and they continue to make our lives more delightful. A top choice that will be in our hearts forever. The nation’s own sandwich biscuits! Enjoy them in these delicious flavors: chocolate, lemon, orange, strawberry, banana, vanilla and coconut. A top choice that is forever in our hearts! Each PAPADOPOULOS CREAM CRACKER, made with the same traditional recipe, is comprised of 1296 layers of pastry!